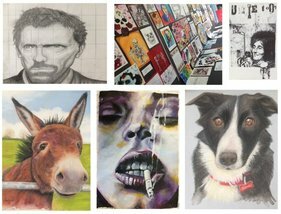 The Art Department has delivered GCSE and ‘A’ Level examinations over the last five months. A huge amount of time and effort goes into the development of these exams which run from January to June. They culminate with the ‘timed’ conclusion, whereby GCSE pupils complete a 10 hour piece of work and ‘A’ Level students complete a 15 hour piece. The pupils have, once again, developed fabulous portfolios of work and we expect our tradition of excellent results to continue. Some of our ‘A’ Level students recently entered the Rotary Club of Stafford Knot, Young Artist of the Year Competition. The work submitted was highly praised and we were very pleased that two of our pupils were awarded prizes for the 16-19 years category. Our Stone Advent Windows exhibition was, once again, a great success. Year 9 and 10 pupils enjoyed representing the school at the unveiling of our art installation at ‘Home and Colour’, on Stone High Street. Year 9 pupils have continued to produce high quality work and, following on from their successful Wayne Thiebaud ‘Seaside’ project, they have now developed work influenced by painter, Sylvia Ji and have focussed on the theme of ‘Mexican Day of the Dead’, gaining influence from Ji’s studies. After school and lunchtime art clubs continue to be very popular and pupils are able to use these in the development of their skills, technique and extension of portfolio work. This year’s school play ‘Grimm’s Fairy Tales’, combined storytelling and physical theatre and was a great success. Students not only acted, but excelled in other non-performing roles such as lighting, props and stage management. Years 9, 10 and 11 travelled to Wolverhampton to watch John Godber’s ‘Teechers’. This was an excellent opportunity to learn more about the play they are studying for their GCSE exam. 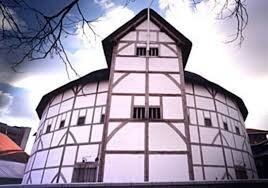 40 Drama students are getting ready for a two-day trip to London, where we will watch ‘Matilda’, ‘Women in Black’ and visit Shakespeare’s Globe Theatre, as part of an exceiting itinery. Year 10 are busy devising a piece of theatre to be examined In July. The stimulus for this is ‘The Seven Deadly Sins’. Meanwhile, Year 12 are preparing for their mock exam and have been studying ‘Antigone’ and ‘Metamorphosis’. Our musicians contribute to whole school initiatives and have helped with the Fashion show and Open Evenings, for example. In addition, our pupils have been involved with the Stone Pyramid Concert at The Victoria Hall in Stoke. This was a superb evening and included a solo by one of our Year 10 students. The Mayor of Stone attended and he was very impressed with Alleyne’s students. Our Young Enterprise team worked extremely hard to establish themselves as one of the premier businesses in this year’s competition with an exciting product and vibrant mission statement. The Colour Fun team represented the school with professionalism and creativity, leading them to win best trade stand at the Regional Finals at the World of Wedgwood. Balancing academic commitments with business related objectives proved tough, yet rewarding and the team made us all very proud, representing you all in an exceptional manner. Miss Newnes in particular worked closely with them in a mentoring role, giving up many of her evenings and weekends to support the group. Mr Millington has also kindly helped the group, showcasing another example of where our team goes above and beyond to enhance the experience of our students at Alleyne’s Academy. During this time period, we also completed our second session with our business experts which Year 9 and the Sixth Form have found invaluable. We were delighted to welcome back Eric Gresswell from Popcorn Media, as well as a new face in Emily Turnock from Capula who both provided detailed and inspiring talks to groups when they attended in February. Providing context and detail allows our students to develop a greater understanding of the Business concepts covered in class and we are all very appreciative of the time offered to us by local business people such as Eric and Emily. The Work Experience period kicked off at the start of the year with both Year 10 and 12 participating, as in previous years. The students again represented the school magnificently. The entire Business and ICT Faculty gets involved in arranging placements and I am very appreciative for their support. Due to our academic and pastoral success, Business, IT and Computer Science continue to offer desirable options to students, and so we are delighted to welcome a new member to our team for September. We employed Hayley Spooner during a recent interview and we are excited to add her skills and expertise to our team. During this time of financial uncertainty for many businesses, I am very thankful for the faith shown in this Faculty to help lead the school towards the outstanding results. Students have now completed all GCSE coursework with provisional results looking extremely positive. We must thank staff for the tireless support they have shown and the hours and hours of additional time they have given up during the evening and Easter/half-term holidays to ensure that every student of Alleyne’s Academy is given the best possible opportunity to complete their coursework to the highest standard. We have received thanks from AQA for the wondeful work submitted by Mr Marsh's Graphics class and we have pleasure in showing examples of students' work below. The Faculty’s GCSE catering exams took place last November and these proved incredibly successful as our talented students worked with skill and creativity to produce their own unique culinary delights to impress both teaching staff and exam board alike. Alleyne’s technology students have a reputation for success and for reaching the final rounds of the National KMF Design Competition. We were extremely pleased to be taking part in this prestigious event which this year saw students faced with the challenge of not only building, but racing a hand-built racing car! All Year 10 technology students were encouraged to enter, but just fifteen talented students made the final team. The competition offers an excellent opportunity for students from Alleyne’s to showcase their engineering talents against other technology students from across the county and receive recognition for their creativity, skill and competitive edge. Unfortunately we did not win the race this year, but we are better prepared for next year’s event and plan on inviting a new team of engineers to take part and to see us first past the post! A huge thank you must go to KMF for continuing to sponsor this event. Mr. Marsh, Mrs Stenson and Mrs Allen have been running weekly after-school Product Design, Catering and Graphics Clubs, assisted by Mrs McBain (our fabulous Textiles technician). We will continue to run similar clubs for our current Year 10 classes for both folder and practical work. We are also introducing a Year 9 ‘DM Club’ (Design and Make), which will see young students experience the fun practical side of our subjects and is not at all related to the pressures of school projects. Students will provide their own materials and will be helped and encouraged to make everything from bird houses, storage units and music docking stations, to pencil cases and party dresses and even making and decorating birthday cakes! We also have a 6 Form taster day coming up and are looking forward to our current Year 11 students experiencing ‘A day in the life of a 6 Form Student’. We have many great projects planned across the faculty and intend on providing an exciting and educational experience for all concerned. The Fashion Show (which took place last half-term), was a resounding success and promoted the Academy in a very positive light throughout the community. It featured mouth-watering, fabulous food (created by our very talented Catering students, incredible live music performed by students of Alleyne’s Academy, and of course showcased garments in a London ‘catwalk style’ from our Year 11 Textiles GCSE students. The event was again a well received, sell-out performance and ensured the event is an annual fund-raising attraction for future students. I should add that it was beautifully compared by Mrs Allen who used her knowledge of the Fashion Industry and rapport with the students to engage the audience throughout the night. In an effort to ease transition between year 8 and 9 we have built a great, working relationship with the Heads of English at both the middle schools. We held a meeting at the end of last academic year and discussed schemes of work and how best to ensure students get access to a wide range of subjects and texts within English. We have also hosted some MAGT (More Able/Gifted and Talented) students from both schools; they joined our most able students in watching a live stream of ‘Twelfth Night’ which was enjoyed by all. Our year 9s are in the process of completing their GCSE Speaking and Listening presentations. They have all studied Animal Rights; a scheme we created in conjunction with the RE department to enable students to broaden their understanding of the subject and discuss ethical issues. Students have approached this assessment with maturity and diligence which has resulted in some fantastic speeches. Year 10 sat their English mock exam in March to support us in measuring progress and intervening where necessary. They sat an English Language transactional writing paper and we ran a series of revision lessons prior to this, in-between our Macbeth scheme of work. Based on the results we have initiated a process of intervention similar to that which we have been running with Year 11 this year. This will include: letters and text messages home, targeted revision groups and use of new staff to support these groups. In addition, to support Year 10 (and Year 11 before they left us) we have been running a SAM Learning Challenge each half-term. This has been a very effective way of encouraging more students, boys in particular, to get involved in some independent learning in the lower school. The weekly leader board shows how a vast number of students are engaging with the online challenges. Prizes are awarded each half-term and each time there have been different winners from each year group, often from mixed or lower ability groups (exactly our intention). Every Wednesday 3.30 – 4.30 we run this as a club in a computer room so that students who want to come and complete these challenges with further support can have this opportunity. In July we are taking 100 students (a mix of Year 9 and 10) to see a live performance of Macbeth at Stafford Castle. This will be an excellent opportunity for them to see a production of the text they are studying for their GCSE English Literature exams, and if previous visits to the Shakespeare festival are anything to go by, it will be a really enjoyable afternoon. Year 11 completed mock examinations for English Literature and English Language prior to their final examinations. We were pleased by their attitude to these exams and we used the results to develop a programme of revision sessions to allow them to develop their skills. Parents were informed of these sessions by letter and text message. The revision sessions were well attended and covered all topics for the Literature and Language exam. We also ran booster sessions for students the day before both the Literature and Language papers. The students responded well in these sessions and the department shared exam strategies and top tips for the exam. Year 12 and 13 mocks have played a key role in ensuring our students are ready to achieve the best possible exam results at A Level, with regular practice papers completed in class in order to build on strengths and address weaknesses in advance of the final examinations. All coursework is, thanks to the effort of students and staff, reflective of students’ full potential, with some individually extremely pleasing results. Within the department we have been busy supporting many revision sessions in recent months, both during school hours and after. Our turn out during the half term revision sessions was positive with over 50 GCSE students turning up and over half of the A Level cohort attending. In the coming weeks we are due to carry out our annual A Level Fieldtrip. Once again we are using the Field Studies Council to support the students and staying at Preston Montford in Shropshire. We have just had the go ahead for the Iceland 2019 trip agreed, therefore in the coming months we will be promoting this to the students. Year 9 have settled in well to the demands of the new three year GCSE. With a number of students showing great promise, already achieving grades of 8’s and 9’s, while many others are pushing for their targets. Classes in this year group have worked particularly well alongside the PGCE Trainee Teacher from Keele University in producing creative ways to understand key geographical concepts linked to topics such as coastal and tectonic processes. Numbers at GCSE for the next academic year look to be in excess of the current Year 9 and reflect the established reputation of the department to deliver engaging and progressive lessons that provoke passion and interest within the students to want to explore more about what is happening in the world and why. They are also due to sit their mock exam over the coming weeks so we are currently offering revision and exam technique sessions in order to better prepare them for these, as well as selling them revision guides at a discounted price. Year 10 have also been working very hard, managing to complete 6 topics so far this year alone, these have included ecosystems, rainforests, cold environments, coastal environments, tectonic hazards and weather hazards. Year 11 have now completed their GCSE’s with many working hard to attend revisions sessions laid on by the department, in fact during May half term we had such large numbers make the effort to attend an additional revision session that we had standing room only. We wish them all the best in August as many worked hard and deserve to achieve very good grades. Numbers for the next academic year in year 12 once again look strong based on the size of the Year 11 cohort and the number of students keen to study the subject at A Level here at Alleyne’s Academy. Year 12 are currently gearing up for both their mock exams and weeklong fieldtrip to the Field Study Councils, Preston Montford site. While there they will be exploring locations in both urban and coastal environments as well as developing key skills and techniques required to complete their Non Examined Assessments (NEA’s) successfully. With questions developed by the students themselves they will plan and carry out their own methodologies during the week and then return to present, analyse, conclude and evaluate this data, alongside secondary research. In addition, as part of our ongoing creative planning, even at A-Level, Mrs Bourne created a Geology through chocolate lesson with year 12, which really helped the students understand some of the key differences in UK coastal rock formations. In this they had to analyse the cross-sections different chocolate bars, to identify whether it was similar to sedimentary, metamorphic or igneous rock types. To do this they had to look at the layers in the chocolate bars (representing the strata of rock), and apply this to the lithology of rocks to assess whether it represented porous, permeable or impermeable rock types, as well as looking for folding and joints, or even air spaces that could represent weaknesses in rocks (such as an Aero). Other examples were a KitKat Chunky which had clear layers showing the strata that represented sandstone. Whereas a Flake had clear joints and folding layers in the rock, which represented metamorphic rock types such as slate (see images opposite). Year 13 have also been working hard extremely hard to prepare for their final exams. Mrs Davies ran lunchtime revision sessions for Year 11 students, which were well attended, especially by middle ability boys. Mrs Broadist again ran her popular Easter revision class too, looking at areas of the paper which students requested. There was high uptake of revision guides, which were ordered at a discount with the publishers. Pupil Premium money was used to ensure that all students in this group received a guide. As well as the walk through mock taking place for grades 7-9 students, a similar session also took place for those targeted grades 4-6. In these sessions, Mrs Davies explained the question types on the paper for students in more depth and particularly demonstrated how all of the questions require two key sets of skills. These sessions received very positive feedback and students reported feeling much more confident after them. Miss Dale produced some simplified notes for the Paper 1 topics and also guides on how to complete the questions on the paper for students to use as part of their revision. These guides contained example answers and mark schemes. All students have also been provided with in depth revision notes for every topic that we study. There has been consistent tracking of students of concern and interventions put in place throughout the year. Year 9 began their GCSE History course in September, in line with the new system at Alleyne’s. Students have already covered almost half of the course and staff are enjoying having more flexibility to explore avenues of interest which the time pressures of the course usually do not allow. We have been impressed by our Year 9 students and feel that the choice to have them select their options a year earlier has been a successful one for the Department. Year 13 are a cohort who will be much missed by Mrs Davies and Miss Dale. They were engaged and enthusiastic in their study of History and this group should be successful in the summer. Success continues to be celebrated each &frac12; term with the Oscars board, and praise postcards sent home to alert parents to their child’s nomination. Maths club is still proving popular, especially with 6th form. We are hoping to organise a STEM trip to Stafford in the last few weeks of the year and Year 9 took part in a joint STEM activity between Maths and Science just after Easter. Revision session have ran to support grade 7 + and grade 5 both after school and during the Easter Holiday. We are looking forward to results day in August, both A Level and GCSE and hope to report success to you again next year. The Department has been busy preparing for the GCSE and A Level French and Spanish qualifications and we are striving to raise the standards at KS4 following the new GCSE regulations and specifications. Year 11 students have been weekly attending booster and revision sessions from September and those lunch time and after school sessions will now be attended by Year 10 students. Also the Year 11 Spanish students have had the opportunity to attend extra revision sessions during the Easter break and at May half-term. Four Year 9 students took part in the Staffordshire-Limousin Exchange during the Easter holidays and as one of the SLE coordinator and accompanying member of staff, I can state that our students were impeccable ambassadors. We are now organising the second leg which will take place 10th-19th July when the French students will sample life in Staffordshire and in British families. Many activities have been planned including a day trip to Birmingham, a visit to the Gladstone Pottery Museum, a Stone trail without forgetting the disco and bowling nights to encourage communication between the French and English penpals. Recently we have shown a French film (with English subtitles) over 3 lunch times and we are planning in two weeks to show the Spanish film. Get ready for the great Bake-Off! The Department will be organising two after school sessions in July 2018 to observe our students’ skills in foreign cuisine! Students will be invited to make crêpes and tapas; we hope to show you some good pictures in our next report. Year 10 French and Spanish Summer Challenge: I have organised this with the help of Routes Into Languages and this should be a productive transition from Year 10 to Year 11 languages; students will complete a booklet packed with foreign language activities over the summer break. District Football: It was not one of our best years for the boys’ teams with yr9, 10 & 12/13 all going out in the first round. Yr11 did make the semi-final but this was as far as they went. In January the Year 9 boys finished 3rd in the Stafford & Stone District futsal competition. In the yr9 girls District competition they had a convincing win in the semi-final and await their opponents in the final. A combined yr9/10 team finished 3rd out of 4 teams in the u16 round-robin tournament. Weather had a major impact on rugby fixtures with many cancellations. In a hectic last week of the season it meant our 6th form team not only had to play their County Plate final but also the semi—final of the Cup competition. Unfortunately in both matches they were heavily beaten having lost the momentum in performance created earlier in the year through lack of practice and a number of injuries. We may not have had the best of years in team sports but better achievements were seen by our students in individual competition. At the County Cross-Country Championships, on a very challenging wet and muddy course, one of our Year 12 students finished 3rd in the u17 race and qualified to run at the English Schools Championships held in Leeds this year. In the u16 race one of our yr10 students finished an excellent 8th to miss a qualifying position by one place. Having progressed though the District qualifying competition the Year 10 girls’ badminton team narrowly missed out on making the semi-finals of the County competition. At the District Athletics Championships at Rowley Park from the year 9 team taken, 5 students were asked to return for the County finals. At the County event one of our students went on to become u14 County 200m champion and so make the County team for the English Schools Athletics Championships, whilst also finishing 2nd in the long jump. It has been a busy term preparing students for their summer examinations. For Year 10 and 13 they are the final external examinations whilst for Year 9 and 12 they are taking internal examinations to assess their progress. A tremendous amount of work has been undertaken by staff and students to ensure they are well placed to achieve the very best results they can. Year 9 are currently preparing for their end of Year mock examination where they will have the opportunity to show what they know about different religious beliefs. They will the start to explore the Philosophical Issues starting with the Human Rights module. Students in Year 10 have all now completed their RE GCSE examinations. Revision sessions were well attended and over 50 students also took part in a collapsed timetable carousel on two occasions. Student feedback was positive both about these sessions and more widely with regard to the examinations. Hopefully, the momentum created via revision will help produce some good results on the new specification as the first cohort through this. Likewise, Year 13 have thoroughly prepared themselves for their final A Level examinations in Psychology and Sociology. Many students gave up time at Easter to attend revision sessions as well as the weekly programme that has taken place since December. As such, we hope that students will build on the progress they have made during the year to achieve well to allow them to reach their intended destinations after Sixth Form. Pleasingly many intend to follow University courses within the subject area and should have the foundations in place to study at this higher level. We wish them well and hope to see them on results day celebrating. Finally, Year 12 are soon to complete their end of Year internal examinations. This will allow us to assess relative areas of strengths and weakness for progression to Year 13. Over the summer they will alongside the new Year 12 have work to complete in order to hit the ground running in September. Future plans with regard with to University courses and other options will also be considered as part of an end of Year review with subject based advice helping in this process. Within the Department, we will welcome a new member of staff in September in Chloe Parrish who will combine A Level Psychology / Sociology teaching with some Key Stage 4 responsibilities in RE. The faculty has been involved in middle school liaison with the respective Heads of Science to look at progression and the schemes of work, on a second visit we presented an assembly to all Year 8 students. For this assembly we took Yr12 Science A-level students, who helped to present about the wonder of Science, why they decided to study Science A-levels and also why they think Science is great! At the end of the assembly, Year 8 students were set a research project which then fed into their Science lessons at the Middle schools. Their brief was to research and produce an A3 poster on anything within the topic ‘Earth & Space’. The students worked hard on these during their last weeks at Middle School and then submitted them in September at Alleyne’s to their new Science teachers. There was a fantastic number of entries and the posters were then judged and the winners received prizes in their Christmas Praise assembly. These posters have now been displayed around the Science department. We will be rolling this forward, and doing the same in 2018-19. September also involved introduction of the new BTEC Applied Science course which has both coursework and examination elements. Students worked hard during the first long academic term, and we were delighted with the students who volunteered to help with department demonstrations during the open evening in October. By the end of the Autumn term, Year 11 were busy preparing for their Year 11 mocks and we offered lunchtime booster revision sessions (which were very well attended) and before school breakfast boosters. As Head of Faculty, Rachel Eldershaw is also responsible for a Sixth Form tutor group, made up of Science A-level students. In this role she was able to use her previous expertise in UCAS to support their applications and write their personal references during the Autumn term. This year we have a student with Medicine offers, one with an offer to study Physics at The University of Oxford, and multiple offers for Engineering, Chemistry, Biology and Pharmacology, many at Russell Group Universities which is very pleasing. During January, we advertised a national NHS competition to design a campaign for recruitment for roles in the NHS. We had 2 female students in Year 9 take up the challenge and they designed a campaigned for recruitment of Midwives. This project was submitted and the girls were awarded ‘highly commended’ which was fantastic. Progressing into the Spring term, and the Physics A-level students were delighted to attend a trip to ‘Science Live’ at the University of Manchester where they attended lectures and workshops from experts in the field of Physics education, including representatives from the AQA exam board delivering sessions on exam technique. Organised by Nicola Boumford, this was a highly successful trip, and something we will look forward to run again in 2019. Shortly after this during March, Year 9 students were invited to attend a trip to Birmingham’s Big Bang fair. We took 120 students, and the trip was a sell-out. Students were allowed to explore all the exhibits and the feedback from the day was very positive. We will be aiming to promote a similar trip in 2019. Pupil premium students were offered this chance to attend this trip at no cost. In March, Rachel Eldershaw took 7 prospective Medicine students to Keele University for their Medicine Career Day. During the day students got expert advice about the application process for Medicine, were able to conduct practical tasks and talk to present Medical students and Medicine school staff. Feedback, as always, from the students was that this was a very valuable experience, particularly in preparation for cementing their choices of A-level subjects for Sixth Form. During March Rachel Eldershaw also presented a series of Science week assemblies to all Year groups aimed at increasing awareness of Science in everyday life. At Easter time, we had our first visit from CRODA international, who came in school to run a session with our most able Scientists (sets 1 and 2, L half) about careers in, and uses of industrial Science. They will be attending in the Summer term to deliver the same session to the other year half. During the session students completed theoretical and practical tasks delivered by their team of education outreach staff. Moving into Spring term 2, Science staff volunteered their time to cover a varied revision session timetable, aimed at allowing as many students as possible to attend (including both lunch and after school sessions). All A-level subjects have been offering A-level revision sessions throughout the year (Biology Monday lunchtime, Chemistry Monday afterschool, and Physics Thursday afterschool) and these have been well attended by an increased number of students in comparison to previous years, and we are hopeful that this will be reflected in the results this summer. This revision timetable was also applicable for GCSE students, and in a bid to try and attempt to improve performance of boys specifically we have written home and invited all boys from sets 1 and 2 (both year halves) to attend a series of trial booster revision sessions for the GCSE Paper 2s which take place in study leave time in June. If this proves to be successful we will role this out to Foundation Tier students too next year. Moving into Summer term 2, the Year 12 Chemists have been busy synthesising their own Aspirin and will be taking it to Keele University to analyse for purity using their Mass Spectrometer. In addition, Walton Priory Middle School are also bring a small group of keen Chemists to school during June, where they will be buddied with a Year 12 student to help assist them in the complicated process of synthesising Aspirin. Year 12 Biologists will also be travelling to Barlaston Downs to conduct their field course research and also be travelling to Wales to study colonisation on rocky shores and succession in sand dunes. Our aim in October 2018 is to take the Year 13 Biologists on a visit to Chester Zoo to look at examples of Speciation and Selection.